When people turn to bankruptcy for debt relief, they usually hope to qualify for Chapter 7 bankruptcy and the elimination of many debts under a process that is usually completed in five or six months. To learn whether you are eligible for Chapter 7, contact an experienced St. Louis bankruptcy attorney at the Law Office of Kenneth P. Carp in Bridgeton, MO for a free consultation. To find out if you are eligible for Chapter 7 bankruptcy, the first question concerns your monthly income — if your household income, after adjustments under the bankruptcy rules, is higher than the Missouri state median income, Chapter 7 will not be an option available to you. Even if you do not qualify right away for Chapter 7 relief, our lawyers can often find ways to help you become eligible, either through restructuring your assets or waiting for more favorable timing. 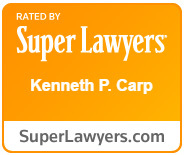 The attorneys at the Law Office of Kenneth P. Carp can evaluate your situation, advise you of your eligibility for Chapter 7 relief, and even file your bankruptcy petition on an emergency basis if necessary to unlock bank balances from a garnishment or prevent the commencement or finalization of a mortgage foreclosure. Just What Does Chapter 7 Bankruptcy Involve? In basic terms, A chapter 7 bankruptcy is for those with the liquidation of an insolvent debtor’s estate under Bankruptcy Court supervision. Nonexempt property of the debtor passes into the control of a trustee, who liquidates and distributes the proceeds of these assets among creditors on a proportional basis — in other words, if nonexempt assets will return unsecured creditors payment of 11 cents on the dollar, that’s what they’re paid, and the remainder of the indebtedness is discharged. Secured claims, such as home mortgages or auto loans, are separately dealt with by the debtor and the respective creditors. The debtor has the opportunity to cure defaults and resume payments, but in Chapter 7 these arrangements need to be made fairly quickly, typically within three or four months. People who want to protect such assets through bankruptcy will probably do better in Chapter 13, where they can pay defaulted loan amounts over a period of up to five years. As a practical matter, very few Chapter 7 debtors need to turn over assets of any kind to the trustee, because most valuable assets like pension benefits or 401(k) accounts will be exempt from creditor claims. At least 90 percent of the Chapter 7 cases we handle are so-called zero-asset cases, in which no payment is made to unsecured creditors at all. People benefit from Chapter 7 immediately. Creditors need to stop all debt collection activity, including phone calls, garnishment, lawsuits, repossession or foreclosure, from the moment your bankruptcy petition is filed. Although secured creditors have the right to seek Bankruptcy Court permission to enforce claims against particular collateral during the bankruptcy case, the protection debtors enjoy from creditor collections generally continues throughout the bankruptcy case. At the end of the case, creditors are forever prevented from collecting claims on discharged debts. For more information about the ways you can relieve intense creditor pressure concerning medical bills, credit card debt, repossession or foreclosure, contact the Law Office of Kenneth P. Carp in Bridgeton, MO at (636) 947-3600 for a free consultation with a knowledgeable lawyer.